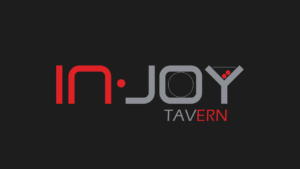 Come experience INJOY Tavern! We opened in 2018 and have evolved with feedback from our first 10,000 guests to bring Erie and the surrounding area the neighborhood restaurant you want - Delicious food that is fresh and healthy with excellent service. Experience our fun and relaxing atmosphere made for conversation. Celebrate each other, your family, your friends over a meal or beverage. Let us greet you like it was our home and invite you to join us at our hand crafted bar, in the dining room, or on the patio again soon. Come INJOY. INJOY's General Manager Tania Q. Williams brings coast-to-coast skills to the Rocky Mountains. Orignally from Miami, Florida, Tania comes to the restuarant business naturally as her mother and father immigrated from Cuba and were in the business when she was born. Tania eventually moved apron and all to California and worked for over ten years at Muldoon's in Newport Beach. 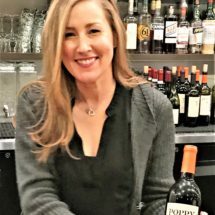 Moving to Denver over a decade ago she has helped with several area restaurants and Hyatt Hotel properties. Tania's smile is infectious and will brighten your day - we invite you to INJOY it in person in Erie!. Susanne was born and raised in Germany and spent most of her teenage years in Istanbul Turkey. She dreamt of opening a German style café in Istanbul, but life took a different turn: Following law school, raising three now adult kids (and thousands of meals later) after living about half a century in Europe, Susanne moved to Erie, Colorado. Expect the unexpected! 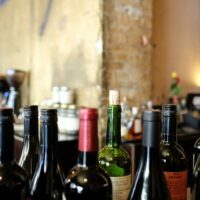 Missing the ambiance and creative menus of small, privately owned European style restaurants, and making others happy with delicious food, the idea to open INJOY was born. 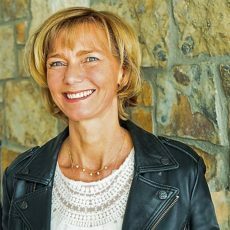 Susanne is excited to start yet another chapter, getting to know all the guests coming to INJOY.